Echo Sound Works Sub Zero 808 KONTAKT | Free eBooks Download - EBOOKEE! Posted on 2016-12-01, by manhneovn. 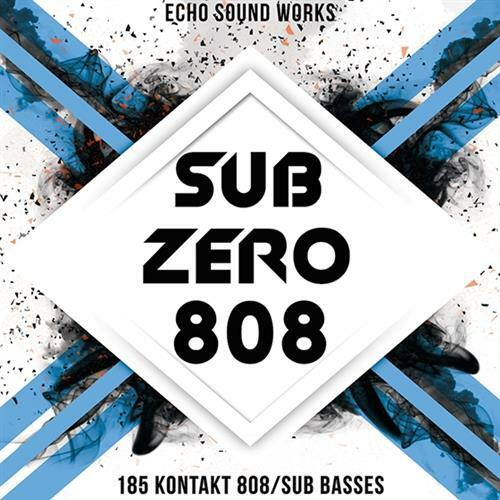 Echo Sound Works is proud to present Sub Zero 808, a multi genre 808 and Sub Bass Library for producers and DJ's. Sub Zero 808 comes with 185 Kontakt Patches for 808's, Subs and Basses. We designed Sub Zero 808 for music producers looking for easily playable, fine tuned, deep 808's perfect for multiple genres of music including Hip-Hop, RnB, EDM, Trap, Dubstep, Future Bass and more! This library is one of the most production ready sub and 808 libraries on the market. The Kontakt instruments come with an easy to use custom interface that gives you all the control you need to create perfect sounding 808's and sub basses for your productions. You have complete control of Attack, Decay, Sustain and Release as well as Glide, Low Pass Filtering and High Pass Filtering. There's even a unison control so you can turn 808's into deep basses. If you don't use Kontakt, we've' also included 100 WAV samples for all the 808's that were created for the library. You can use these with any DAW or sampler. Sub Zero 808 comes with a simple yet highly effective GUI interface for NI Kontakt. It is broken up into 2 sections with 5 main control clusters. * Sub Zero 808 gives you three voicing modes which gives you greater control over the feeling of your 808 and sub basses. * The ADSR section gives you complete control over the Attack, Decay, Sustain and Release of any 808 or Sub Bass in the Kontakt library. * The custom Kontakt script has a built in glide/portamento feature that allows you to easily and quickly dial in the perfect glide settings. * This feature gives you quick control over the high end frequencies of any preset (think noise and saturation) and low end. The HP Cut Off allows you to clean up any low rumbles that may add mud to your mix. * Requirements: Native Instruments Kontakt 5.5.1 or higher. No comments for "Echo Sound Works Sub Zero 808 KONTAKT".